At Icecreamwala Dermatology, we focus on the importance of simplicity in skin care. We offer high quality skincare products in Berkeley to help our patients achieve healthier, more attractive skin. Whether you want to maintain a more youthful look, heal acne, or improve sun damage, we can help you determine the products and treatments that are most effective for the improvements you need. We recommend safe, simple, and effective products for improving your skin care routine. Call (510) 330-2264 to schedule an appointment. A lightweight, oil-free sunscreen to help protect and calm sensitive skin prone to breakouts, rosacea, and discoloration. For oil-free sun protection with just a touch of color, this chemical-free natural mineral sunscreen is water-resistant and has antioxidants to neutralize free radicals. An oil-free, broad spectrum sunscreen that is great for both the face and body to keep your skin looking healthy and radiant. A face moisturizer that provides lightweight, long-lasting hydration while minimizing the appearance of pores for all skin types. A daytime Vitamin C serum that delivers advanced environmental protection and improves the appearance of fine lines and wrinkles, increases skin firmness, and brightens the skin's complexion. An oil-free hydrating gel that replenishes moisture and restores radiance for a smoother complexion. 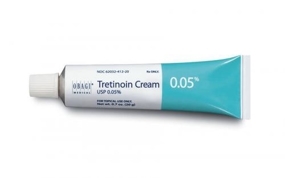 A cream used to treat acne as well as diminish fine lines and wrinkles and hyperpigmentation. This cream helps prevent signs of premature aging and results in more radiant skin. A prescription treatment that has 4% hydroquinone, which improves dark spots and evens out your skin complexion. Treatment used to help grow fuller, longer, and darker eyelashes! Intensive calming botanical face mask to rehydrate and soothe temporarily reactive skin. Restorative mask to help soothe skin (6-piece). Our goal is not only to treat patients but also educate them on how to best care for their skin. If you have tried a large number of over-the-counter products only to be disappointed with the results, it is time to consult with a knowledgeable dermatologist. We can help you select products formulated with ingredients that have been proven safe and effective for your skin. The number of skin care products on the market can make selecting products confusing and overwhelming. Choosing the right products depends on your goals for skincare. Keep in mind that it is better to be proactive when you are young than retroactive when you are older. We advise patients about implementing simple lifestyle changes to improve the skin, such as eating better, getting more rest, exercising, drinking plenty of water, and using sunscreen. Unfortunately, there is a lot of misinformation about skin care and many products are either ineffective or potentially dangerous. We want to educate our patients about what is best for their skin. Our skin treatments and services are personalized for the unique needs of each patient. Dr. Icecreamwala can evaluate the condition of your skin and recommend the most effective products for getting the results you want. When you are ready to care for your skin with the highest quality products, call (510) 330-2264 to discuss your needs.